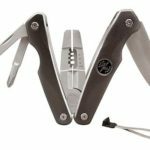 Back in May 2018 Klein Tools released a new Electrician’s Hybrid Plier Multi-Tool 44216 that offers 7 of the most used functions in one tool. In this article we check it out and get it reviewed. 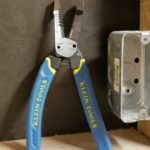 Klein Tools was kind enough to provide the Electrician’s Hybrid Plier Multi-Tool 44216 at no cost for review. However as with all my reviews, I am not paid, sponsored, or obligated to give a positive review. 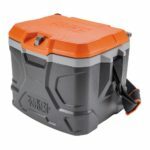 This review is my opinion of the product based on my usage and knowledge and my review will reflect what I like and dislike about the product. I will do my best to provide you with an unbiased review. 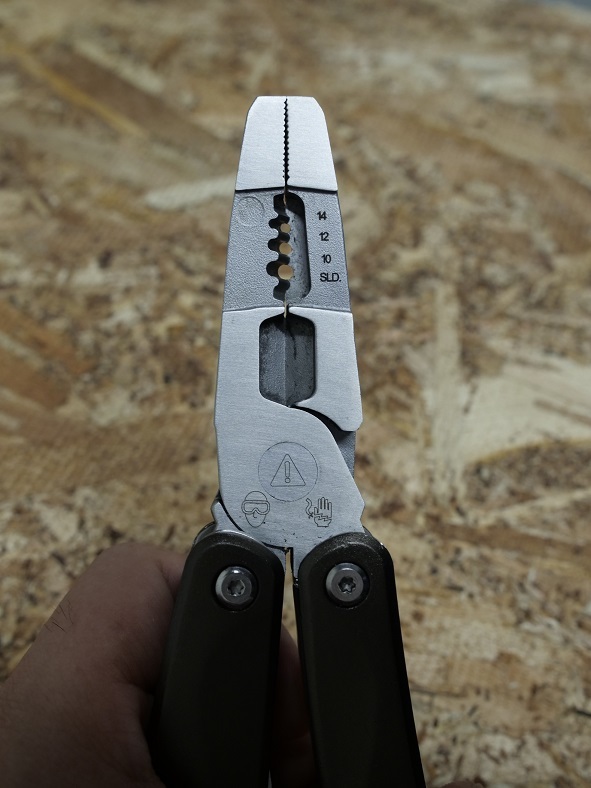 Klein made a pretty good version of a multitool for electricians with their hybrid plier multitool as it’s main functions feature a plier once folded out into place. These pliers hold large jaws thicker and wider than traditional multitool pliers making them perfect for gripping and twisting wire thanks to it’s knurled jaws. In my testing they provided excellent grip and wire twisting ability and you can press firmly onto the handles with very little flex for tight gripping. These wouldn’t be an electricians pliers/multitool without built in wire strippers and that’s exactly what you get with these. 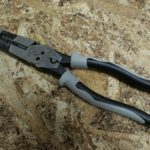 These are not the most feature rich wire strippers as they don’t have the usual wire loop holes or bolt cutters but they do have the ability to strip 3 wire gauges in 14, 12, and 10 gauge solid and 16, 14, and 12 gauge stranded. Stranded etching is on the front side while solid wire etching is on the back. I would have liked if Klein would have etched solid and stranded numbers on both sides so I wouldn’t have to look at either side if I’m working with both types of wire. I’m not an electrician by trade so I can’t say how the missing smaller and larger gauges would affect an electrician but for me, these hybrid pliers wire stripping sizes are sufficient for my needs as I only work with 14 and 12 gauge solid and some 14 gauge stranded around the house doing minor electrical work. Below the wire strippers are a wire cutter wide enough to be able to cut through Romex cable however like many of the other Klein tools I’ve tried, they use bolt cutter style action instead of scissor style cutting action meaning more effort is required to cut through Romex. Cutting a single wire is easy but cutting through 12/3 Romex proved to be extremely difficult with these pliers simply because there’s not enough leverage even with two hands. I found it very hard to cut through Romex and required the cutters to chew each cable cut several times before it would bite all the way through. One big feature that’s missing on this pliers/multitool hybrid is a spring action to keep the pliers open making it easier to operate and so you don’t have to worry about opening the handle manually which can become a burden. Being a multitool first, it features other goodies such as two screwdrivers with a flat head and a #2 Phillips so you can easily open up wall plates with the flat head bit and work on everything else with the Phillips bit. 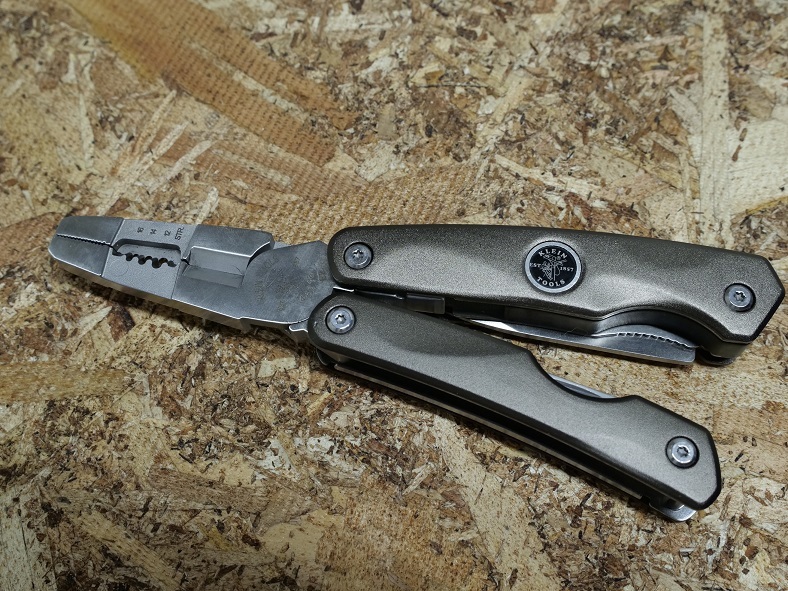 Unlike most multitools that feature screwdrivers, it’s nice that the ones Klein included are full size and with a good length to them for ease of use. Nice to see they didn’t skimp out with partial size bits. I would’ve liked to see an additional ECX bit for when working with electrical outlet screws since # Phillips bits, while they can get the job done, are prone to slipping since it’s not the proper shape for ECX screw heads. 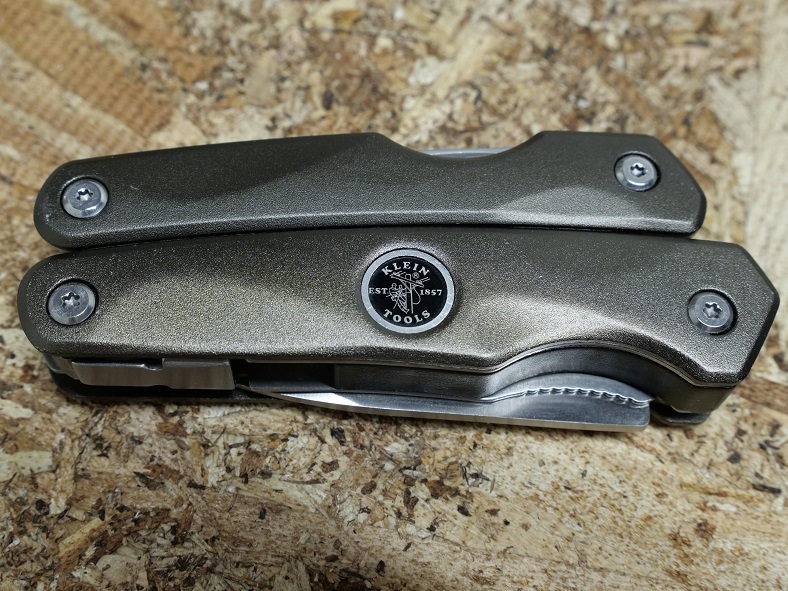 It also wouldn’t be a multi-tool if it didn’t feature a knife of some sort and Klein delivers with a large 3 inch drop point knife blade and this bad boy is very sharp out of the box. Be careful when handling! I tested this out and even the tip was honed sharply. It easily pierced and sliced through Romex sleeves, very nice. 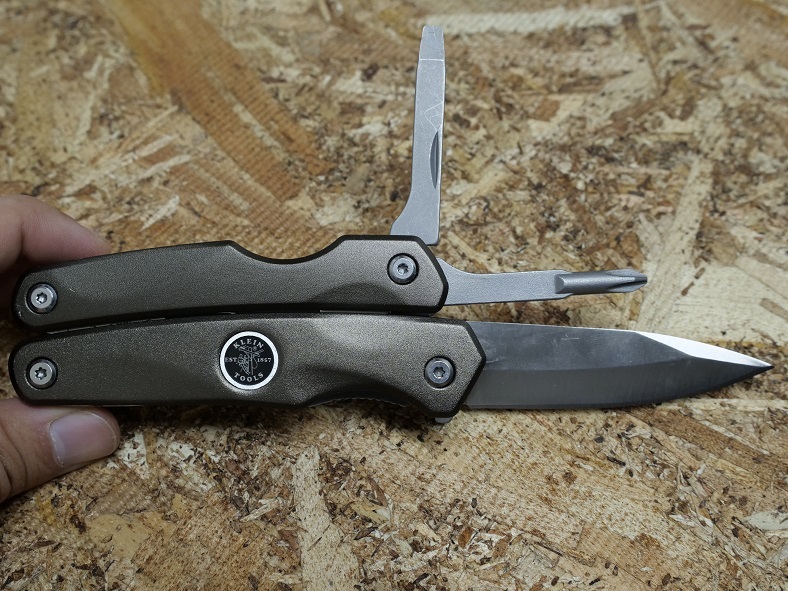 What’s nice about the knife portion of the multitool is that you don’t have to open the multitool to expose the knife. When the knife is extended, it locks into place so you don’t have to worry about it accidentally folding back in place. You can also access the screwdrivers when the tool is in the closed position which when the tool is in the closed position aids in driving and cutting by acting as a single large handle. 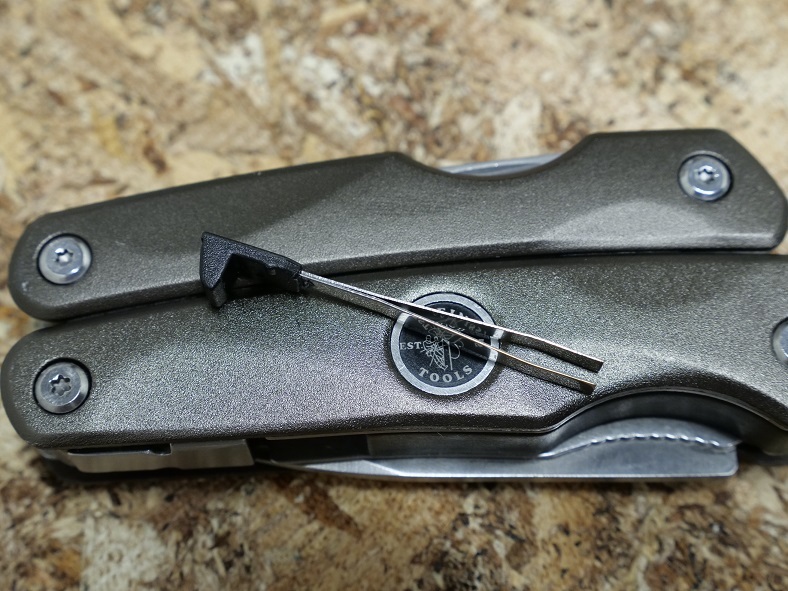 The last feature in this multitool is a pull out tweezer for all your tweezing needs. The name tweezer might offend some manly men out there so they decided call it a metal splinter remover instead. So far I really like this hybrid multitool, especially for electrical work around the house as I can do most of my electrical work with just this one tool alone as it replaces having to need to take a separate wire stripper, a separate set of linesman pliers, utility knife, and a set of screwdrivers to my next job. My biggest gripe with this tool has to be the fact that it’s wire cutter is terrible for cutting Romex and would still require me having to take any trusty plier or wire stripper just for the wire cutter ability. That’s not my only gripe as I would like it if this tool had a spring so I could focus solely on the work being doing and not have to hassle with opening the plier jaws manually. Even my Gerber Dime keychain multitool as small and puny as it is has built in spring action to open the jaws automatically, and it doesn’t even use a traditional spring to do so, which makes me wonder why Klein’s engineers didn’t put a self opening spring action in these pliers? Still, it’s a great tool overall that’s well built and gets the job done with less tools.